My altar for Mar (and I) at Peer Recovery Arts in Modesto.If you like the art in the background check out Chicano Art Frisco Style . Closeup of Altar. 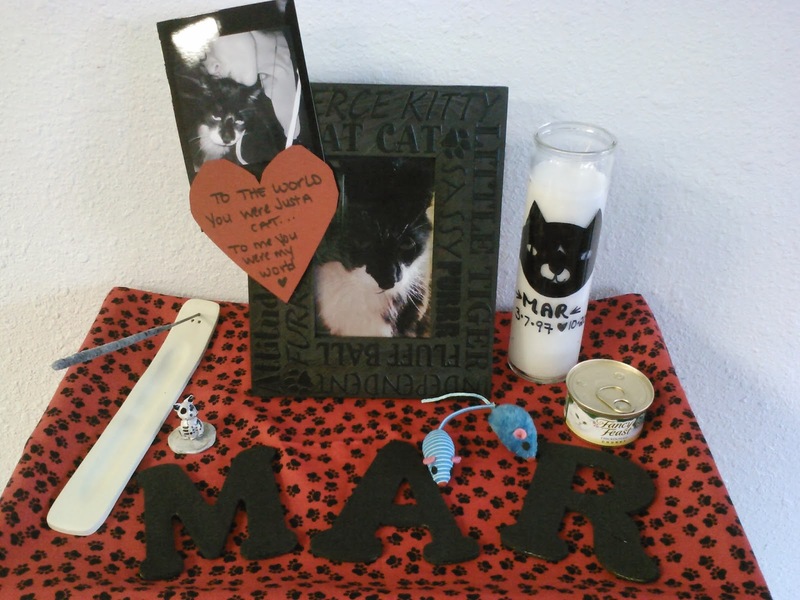 I included his favorite cat food treat, toys, wooden letters I painted that spelled out his name, paw print fabric, pictures, incense in a glow in the dark (cat eyes) holder, a prayer candle I made. 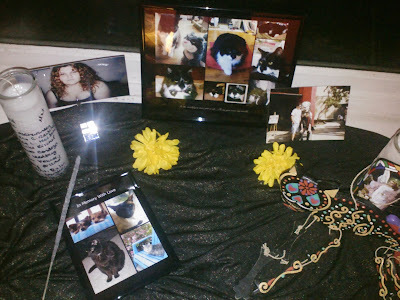 Our home altar complete with Mar photo collage, photos of my sister, Matt's dad and some of the doggies and kitties of people we know or have met through the CRF groups. For those without pictures I placed their names on a candle. These last few weeks have been hard. 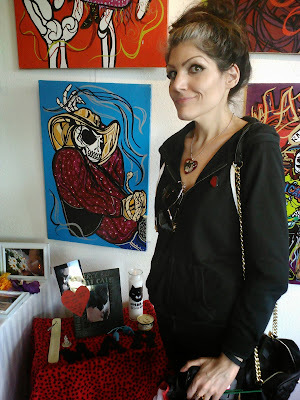 Creating these altars have helped me think of good memories and show love to those that we have lost. still thinking of you guys. Lovely job on the altar, Kendy!! 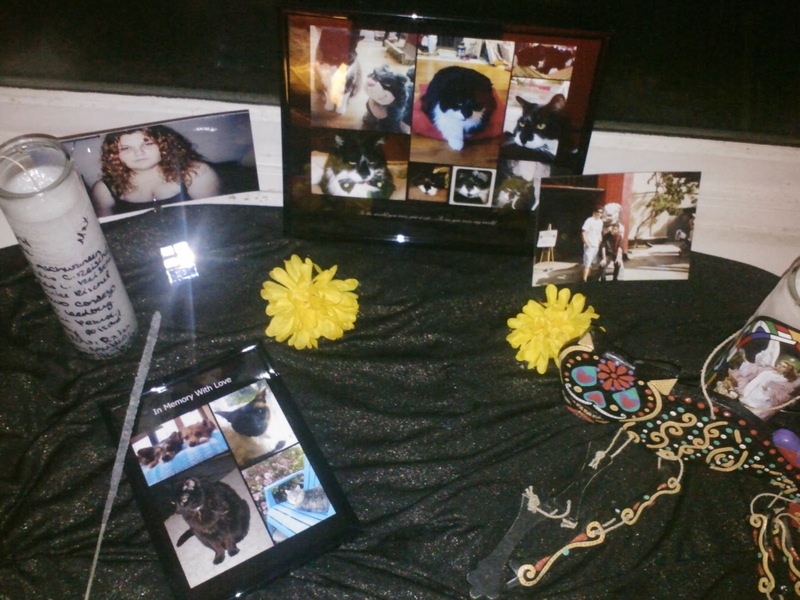 I randomly came upon your beautiful cat shrine today. What a lovely way to honor your beloved kitter.